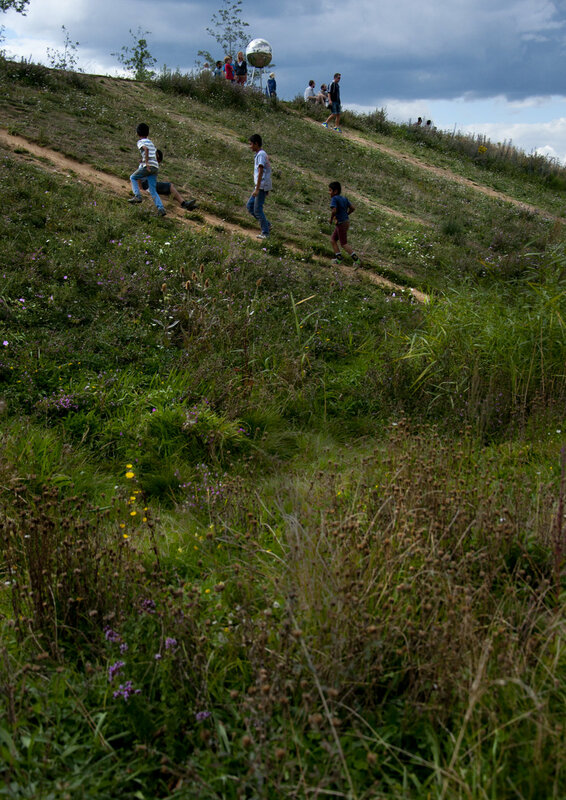 Investigatory photo series about how the London Olympic Park has been modified by local people after the Olympic was closed. London Olympic Park was built above a former industrial area. Tons of soils, hundreds of trees and plants were brought to create this totally fabricated land. The observation made 3 years after the the Olympic closure found a number of small paths on grass fields. Sometimes, it’s an invented short-cut or an unofficial route that people continuously stepped and walked on attempting to have a better view over the park. Another time, it's just turned out to be a playground. 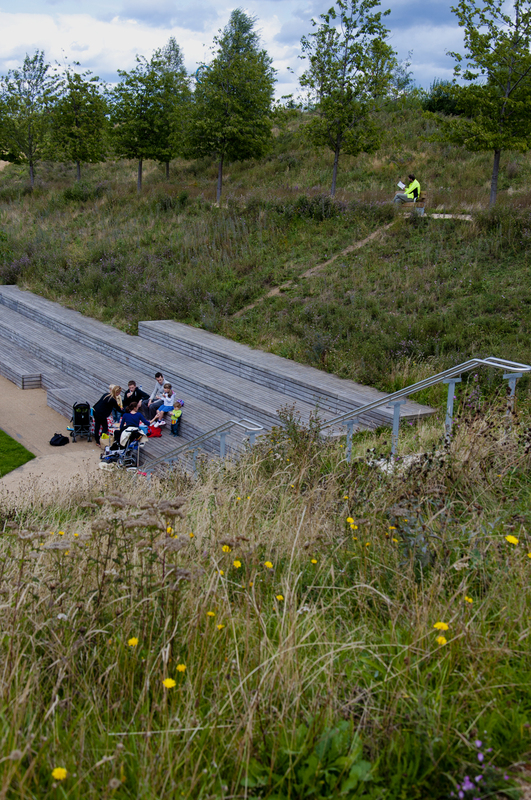 The landscape spontaneously created by local users reflects people's activities and communications inspired by the instalment of the new urban function, the Olympic Park, and its localization process over years.